A little piece of affordable art. 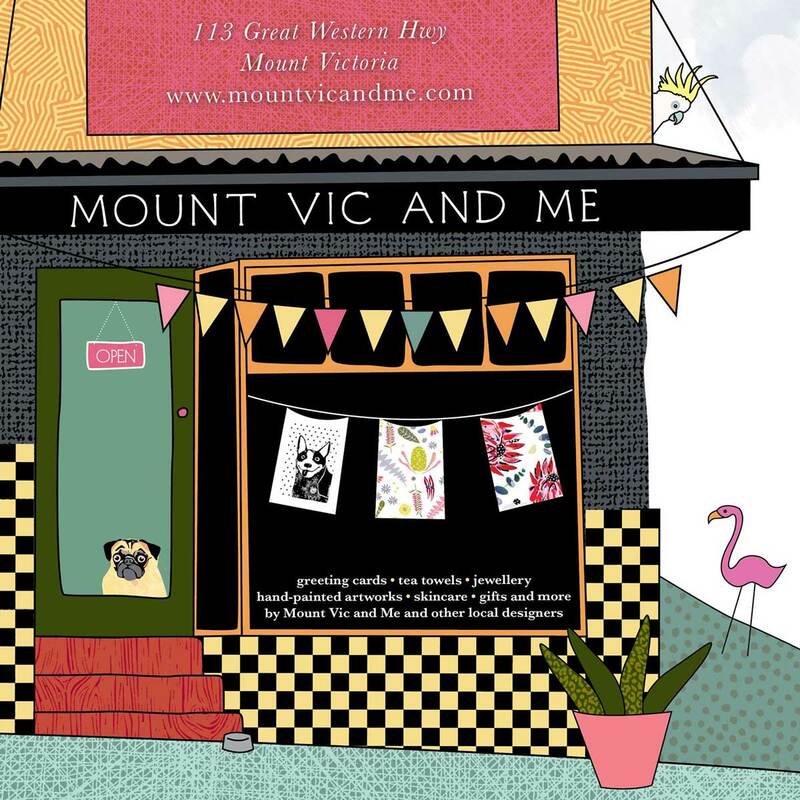 Residing in the quaint little town of Mount Victoria, graphic designer Kara Cooper collages found objects, favourite things, places, illustrations, photographs and the nostalgia of the Blue Mountains as inspiration to create fun and quirky art cards, tea towels, earrings and wedding stationery. Everything from dog breeds, native birds and animals from Australia, farmyard friends and more. She also stocks a variety of other local designers. Join us and other Imperial Walk shops on our Mothers Day Shopping Night! Contact us today if you’d like your business listed here!